As the industry sits on the edge of disruption, healthcare organizations need to transform to stay relevant. Healthcare organizations now have both the motive and means to empower, engage, equip and enable consumers. While healthcare organizations have recognized the need to change, they have struggled to get started and sustain the effort. Based on conversations with leading healthcare organizations such as Mayo Clinic, Intermountain Healthcare, Geisinger, Anthem, Aetna, Pfizer, Novartis and more, the book identifies five required shifts organizations can make to better compete in this evolving landscape. Through case studies and practical examples, Making the Healthcare Shift provides healthcare leaders across the healthcare ecosystem with a playbook to make their organizations more consumer-centric. 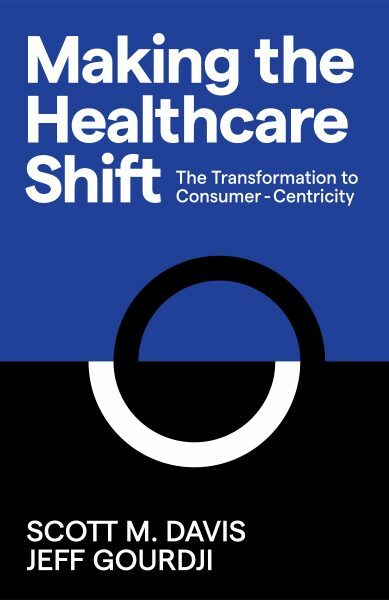 “Making the Healthcare Shift: The Transformation to Consumer-Centricity” is available at Amazon, Barnes & Noble, Google Play or wherever books are sold. – Identifies the five shifts healthcare companies need to make to become more consumer-centric. – Offers case studies and practical advice on how to make these five shifts become a reality. – Provides practical advice for healthcare leaders across the globe who have the fortitude to transform their organizations to both compete and win in the age of healthcare consumerism. “…This book will help healthcare leaders – in any geography – win with consumers in their markets.” – Peter Corfield, Chief Commercial Officer, Spire Healthcare, U.K.
Scott is the Chief Growth Officer of Prophet, a leading strategic growth firm. In over 25 years of brand and marketing strategy consulting, he has worked across an array of clients, including, GE, Allstate, Hershey’s, Microsoft, Boeing, Sara Lee, NBC Universal, the NBA, Target, Gulfstream, United Airlines, the City of Chicago. His work in healthcare includes Johnson & Johnson, the Blue Cross Blue Shield Association, Mayo Clinic, Novant Health and an array of provider systems in the US and across the globe. Scott is a frequent guest lecturer at MBA programs across the country and served as an adjunct professor at the Kellogg School of Management at Northwestern University. Scott is a contributing columnist at forbes.com, and is the author of 3 previous books, including The Shift: The Transformation of Today’s Marketers into Tomorrow’s Growth Leaders. Jeff is a Partner and co-leader of the healthcare practice at Prophet. With over 20 years of leading high-impact marketing & strategy projects, Jeff brings a breadth of experience that comes from working across many industries as marketing practitioner, management consultant and political strategist. Jeff has worked extensively across the health care value chain across an array of growth challenges. His current and past clients include Mayo Clinic, Northwestern Medicine, Encompass Health, Anthem, Eli Lilly & Company and several Blue Cross Blue Shield plans. Jeff is a frequent speaker and writer on healthcare topics and has been published or cited in Becker’s Hospital Review, Modern Healthcare, Medical Marketing & Media (MM&M), PM 360 and the Chicago Tribune. Jeff received his B.A. from the University of Michigan and his M.B.A. from the University of Chicago Booth School of Business. Want to speak to Scott or Jeff about how to become more consumer-centric? Contact us today.